What better way than to employ a corporate calendar design to make branding work for you. Add your logo and your website URL so your customers know how to reach you when all they want is to feel beautiful and at peace. 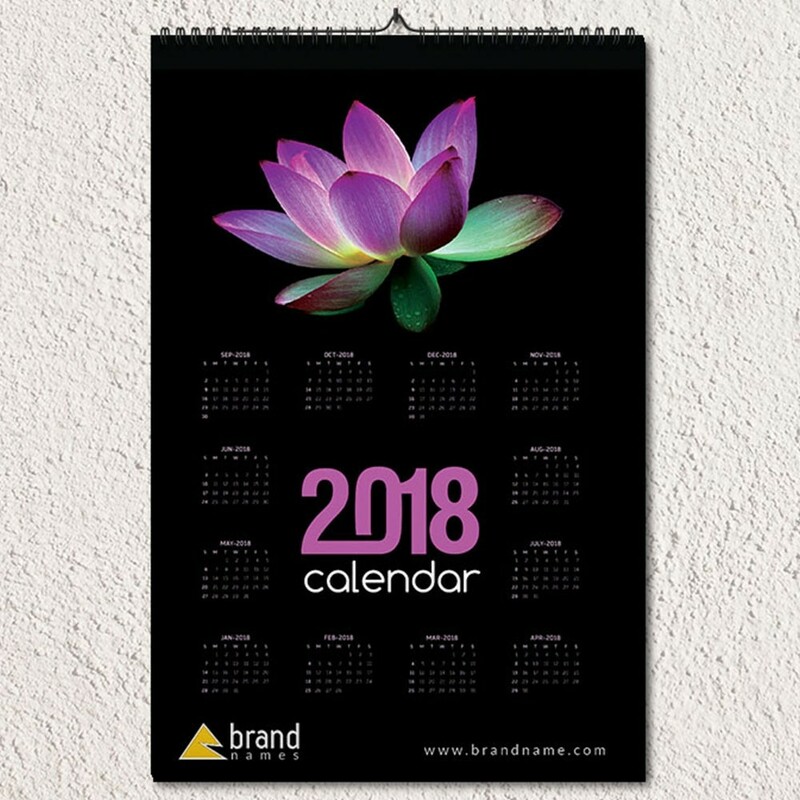 An HD lotus set on a dark background makes an amazing wall calendar for corporate gifting and speaks volumes of the solace that your services can provide.Do you need a logo or a website? Reach out to us! Lotus is a persistent sign of youth, beauty, and relaxation. Use this thoughtful wall calendar design to resonate these wonderful thoughts into the minds of your customers. If you’re a beauty focused outfit or a spa & therapy services provider, New Year is the best time to remind your customers of the repose that your services can offer them.